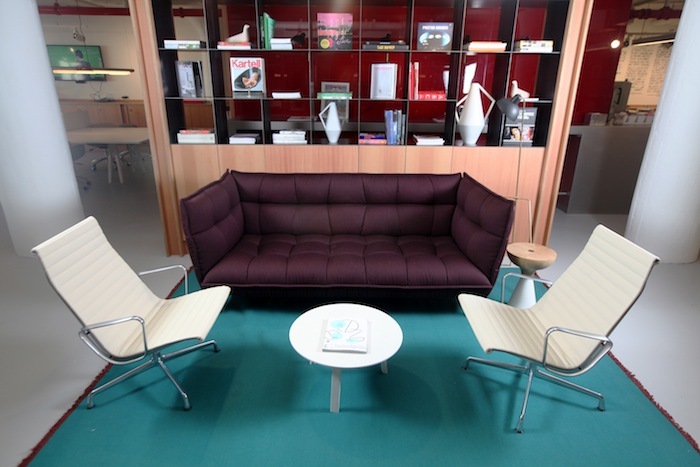 Curious about coworking? Here are several great spaces in Astoria and LIC that offer terrific coworking options. 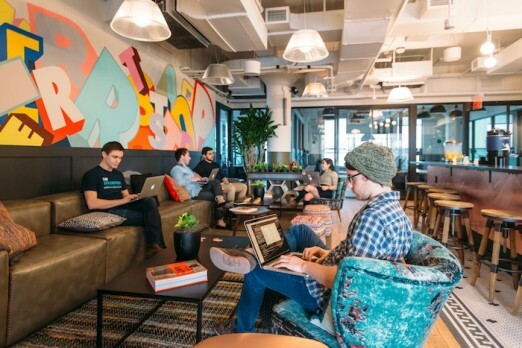 WeWork Studio Square: We’ve Got The Scoop! 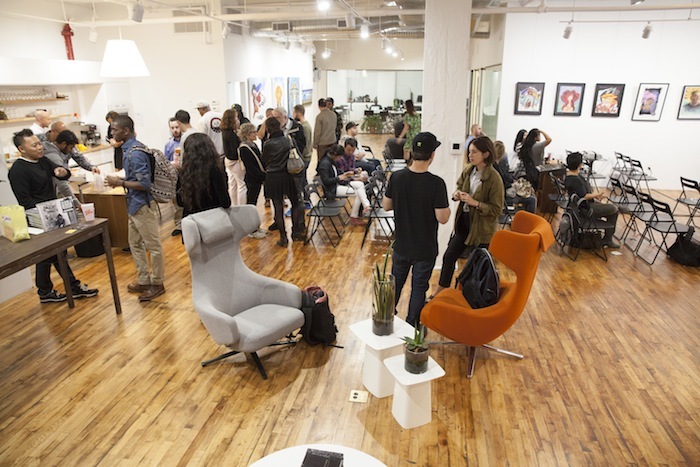 Coworking has truly made its mark in Queens, complete with gorgeous spaces and comprehensive services available to pretty much anyone working independently. 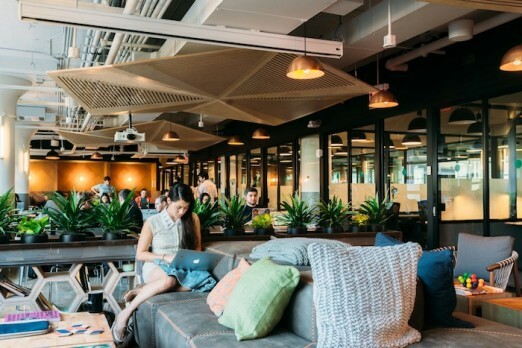 And even small companies can lease a larger office in a coworking space and benefit from the community vibe—coffee, classes, and conviviality are paramount in this world. 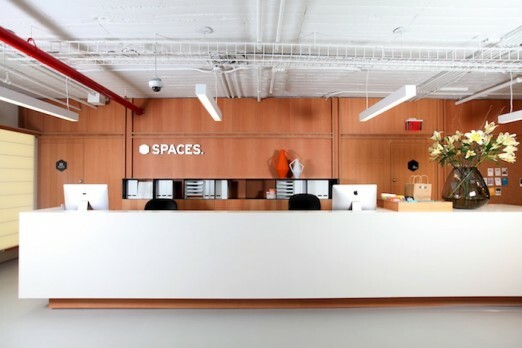 Here are coworking spaces in Astoria and LIC that have a lot to offer, from shared work space to private offices. 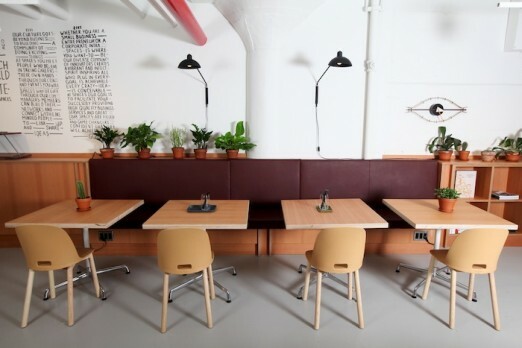 Plus we’ve got a wild card coworking space just for the month of April. 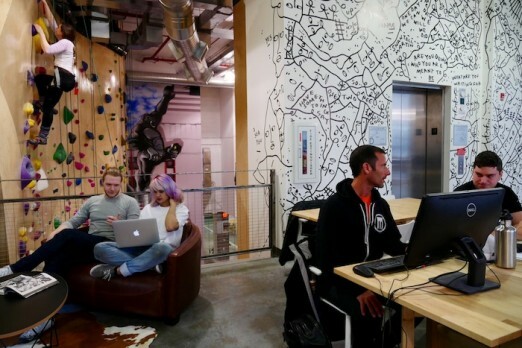 The vibe at BK Boulders couldn’t be more different from the other local coworking spaces, mostly because it combines work, life, and play under one roof in what they call an “active collaborative workspace.” Physical activity is a key element here, and it’s not uncommon for people to break for a workout during the day. The coworking space, part of the 25,000 square foot facility, also offers conventional services those accustomed to coworking come to expect—free WiFi, a comfy lounge area, communal tables, as well as standing desks accompanied by pull-up bars, desks with balance balls as chairs, and some quiet spaces as well. And as far as the places to get your physical activity on, there’s the climbing wall and climbing instruction, personal training, state-of the art fitness equipment, weights, as well as classes—bootcamp, yoga, and capoeira. Add in a sauna, cafe, events, and an art gallery, and it’s a pretty amazing package. 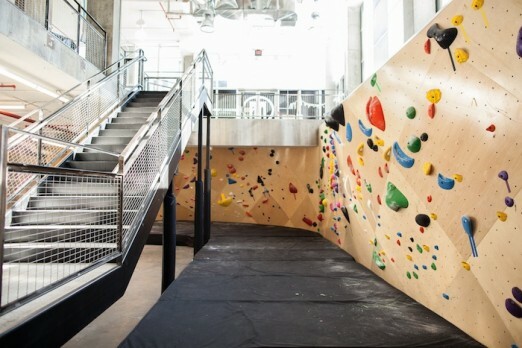 To give it a try, take advantage of their day pass special—a day at Brooklyn Boulders plus gear for $28. You can see the full range of membership options, here. QNS Collective, born and bred right here in the borough, has been in the Queens coworking business since 2013, making them the veteran of the group; they actually were the first dedicated coworking space in Queens. And while the bulk of their business is in making shared work space available, how they impact the surrounding community was and is also very important to them. Argentina Flores, one of QNS Collective’s owners, tells us, “While we provide affordable work space, our true service is community. Since our launch, we’ve offered member and non-members workshops and events in business development, design and technology.” Here’s a list of upcoming events. A lot of their business comes via word-of-mouth recommendations and referrals from existing members (and visitors), and over the years they’ve worked with over 200 members. 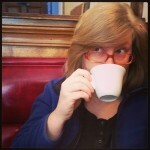 Their location is great, too—on a quiet side street right in the heart of the Kaufman Arts District. One of the perks of being a QNS Collective member is being able to benefit from the company’s partnerships with a variety of businesses that provide discounts on services like healthcare, bookkeeping and business loans. 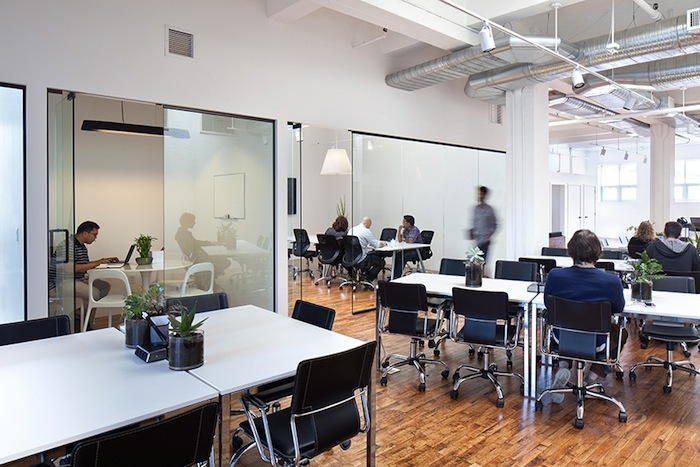 Membership itself includes—besides access to your desk—a solid commercial grade internet, meeting and conference rooms, office services (e.g., fax, printer, copier), reception, a stocked kitchen with free COFFEED coffee, and more. It’s also a pleasant space to be in, with wooden floors, high ceilings, and a comfy lounge area at the front. 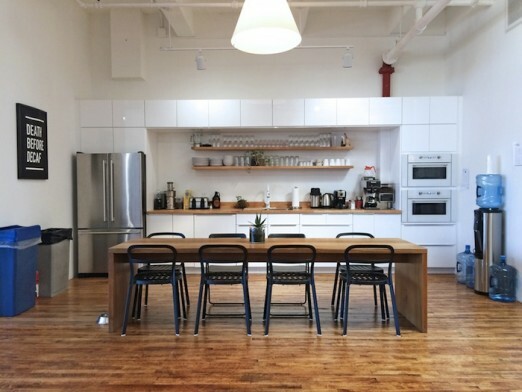 Dedicated Desk—$350 a month when you pre-pay 3 months (total: $1,050, plus one month free). This deal includes 24/7 access. Private offices are $500 a month. 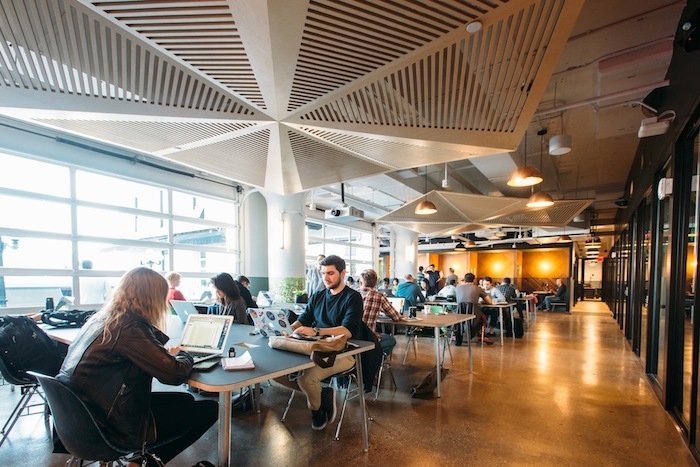 In line with coworking’s philosophy, nurturing community is an active effort at Spaces. 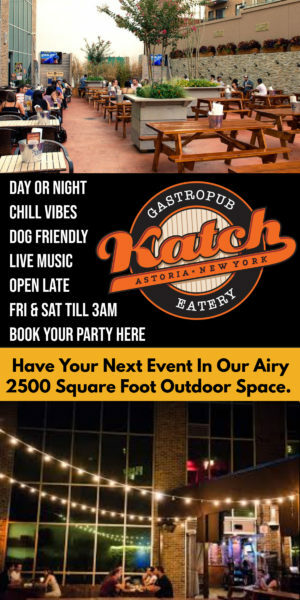 There are events for tenants and members that range anywhere from seasonal celebrations (they recently held an Easter Egg Hunt, to wine and cocktail tastings (Astoria Distilling is just downstairs), to ping pong tournaments. Professional development opportunities like networking and pitch events also happen, and of course there are guest speakers that stop by from time to time. It’s definitely a mix of professional and casual, but most of all they want people to have a good time regardless of the premise of the event. That includes things like access to the social business club, reduced rates on meeting rooms, being able to participate in their community and events program, and reception services. If you’re interested in pricing for private office space, check this PDF (NB: External means it has direct windows in the office). 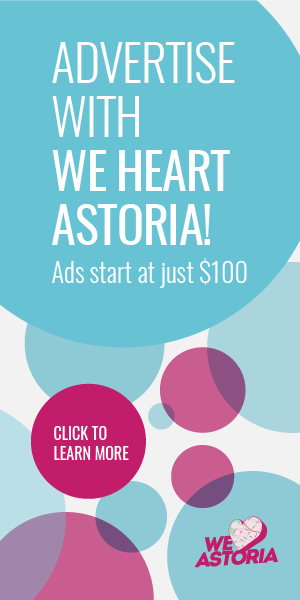 For those of you that are curious and want to see what Spaces is all about, We Heart Astoria readers can try Spaces out for a day for free. Email nyc.longislandcity@spacesworks.com to schedule a day pass (Monday-Friday from 8am-6pm). 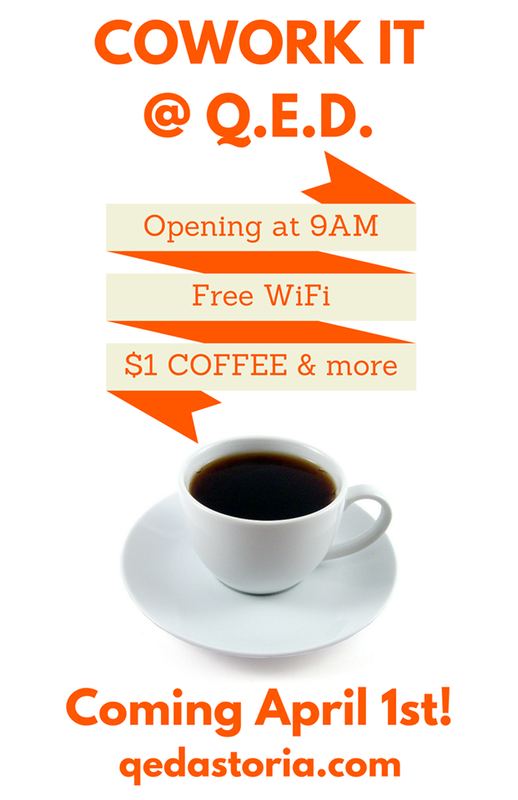 They’ll even spot you your first coffee! We’ve also learned that there are two sought-after private one desk offices that will be available starting May 1. It can be had with a 1, 3, 6, or 12 month lease, but with a 12 month lease you get the lowest rate of $540 a month. A full business club membership comes with that private office—which means you’d have access to any Spaces around the globe, too. One month leases are available on request. 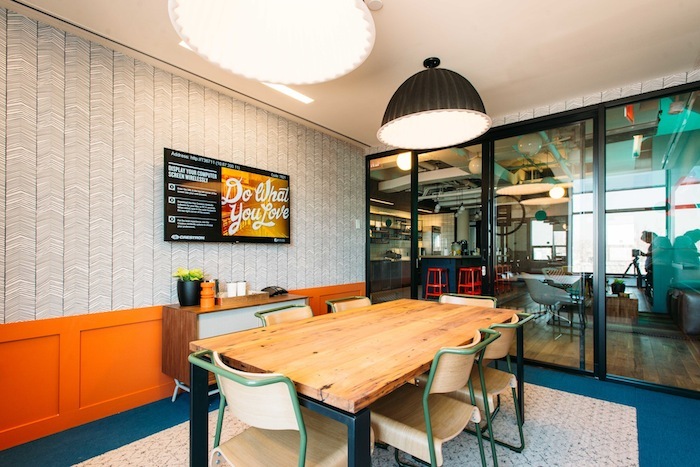 The newest coworking space in Queens is WeWork, located above Studio Square on 36th Street. We took a tour of the the space while it was under construction and boy, does it look different now! The photos show a lot of people working in various setups—in communal spaces (inside and out—there is a terrace), quieter spots set off to the side, and we know there are plenty of private offices on location, too. They emphasize their closeness to Manhattan (“Only ten minutes away from Midtown.”) but are proud of the work they are doing in Queens to help the creator in each of their clients thrive, grow, and achieve goals in a stimulating atmosphere. They strongly credit their community and culture of idea exchange and collaboration as what sets them apart from the rest. You never know who you’ll meet there, or what project might bloom from a chance encounter. 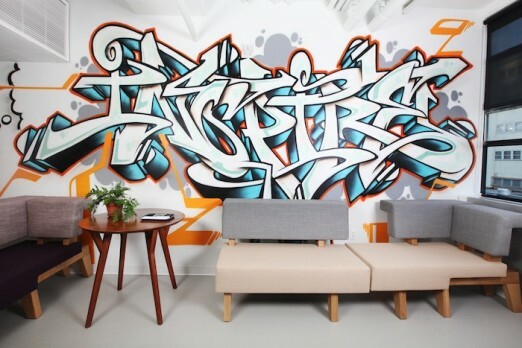 As for what they offer, the space itself has a contemporary and comfortable look, with additional warmth from the surrounding plants and artwork on the walls. A I mentioned earlier, there’s a terrace, so working outside on a nice day could be an option for some. As a WeWork member, you get to enjoy all of that, as well as high speed internet, printing services, and access to conference rooms. There’s also a coffee lounge and weekly events for members (click on Astoria to find the ones at the Studio Square location), and there’s an on-site community manager to help you with whatever you need. 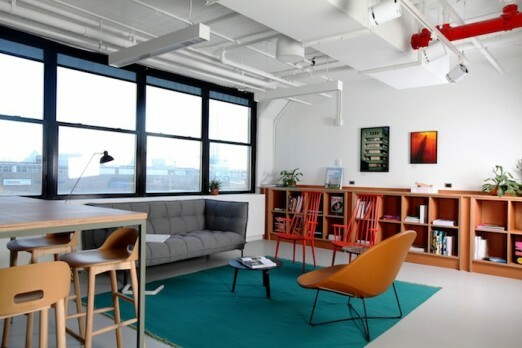 Pricing ranges from a shared office desk for $530-$550 a month, to a 1 person office for $650-$900 a month, all the way up to a 9 person office at $5,310-$5,360 a month; even larger spaces are available by arrangement. They also offer a “flexible membership” at $45/month. 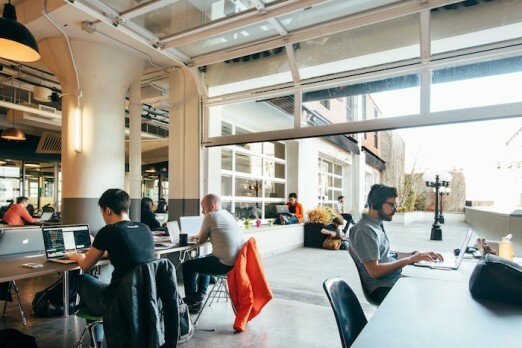 QED, one of Astoria’s great community spaces, is getting into the coworking business for the month of April 2016 only. Doors open at 9am, and “coworking happy hour” starts with coffee (from local roasters Vassilaros & Sons) and tea for just a buck a cup. 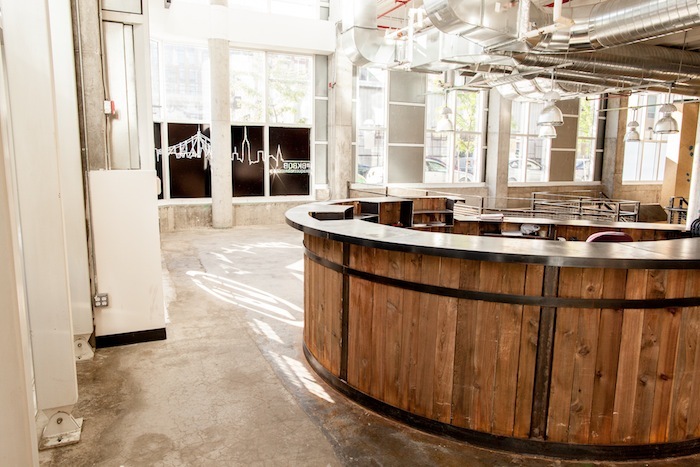 Happy hour pricing later in the day for beer & wine will also be available, and there will be an expanded food menu (including breakfast items such as muffins, yogurt, cereal, and a self-serve bagel station). Check in to cowork five times, and you’ll be rewarded with an Admit Two pass to see a show at QED. *They welcome you to stay past these hours to work if the first scheduled show is not sold out. You can get a day pass for $19 here : http://brooklynboulders.com/queensbridge/experience-bkbqb-19/#!